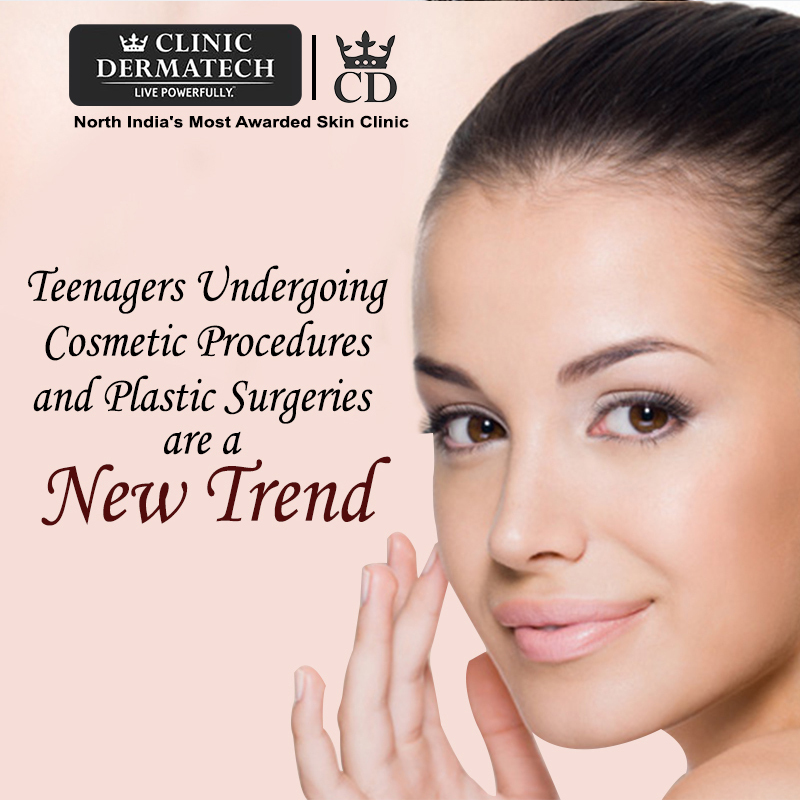 At Clinic Dermatech, the team of Aesthetic and Plastic Surgeons has noted a trend of teenagers coming in for cosmetic procedures and plastic surgeries. Most of the teenagers and young adults are usually accompanied by their parents and come in during the school and college breaks. Many teenagers prefer coming in after the Board exams when the schools are closed for longer durations and before the college reopens. Now in adults usually choose to get the aesthetic or plastic surgery done to correct a feature (a bent nose) or enhance a feature (lip augmentation) or combat ageing (eyelid surgery). Most of the teenagers come in for reduction of overtly prominent features or correcting abnormalities. The commonly requested procedures for teens include Acne Treatment, Gynaecomastia ( Male Breasts Reduction Surgery), Liposuction (Fat Removal Surgery), Scar Revision Surgery as well as Otoplasty (Ear Surgery) and Rhinoplasty (nose surgery). The Scar Revision Surgery includes removal of moles, warts and skin tags too along with accidental burn marks on visible body areas like hands and face. Some teenagers (albeit a small number) have been known to ask for procedures that are usually conducted on adults like lip augmentation, breast surgery (for asymmetrical breasts), liposuction and laser hair reduction. This trend is not limited to girls only as increasingly boys too are coming in. While removal of moles or scars along with acne treatments through chemical peels and laser skin rejuvenation are requested, the team has been asked about gynaecomastia (reduction of male breasts) and correction of the jawline. Why do teenagers ask for plastic surgery? It is imperative to remember that the teenager is a human being and a young adult. He or she is not a child and should not be taken for a fool. With the advent of the internet, they have access to information and are constantly being bombarded with images of perfect beauty. They are standing on the threshold of adulthood and are grappling with issues of self-discovery, self-esteem, and self-confidence. If a procedure or surgery can correct prominent features like a large mole, a broken nose, protruding ears or male breasts, then the process can boost the confidence of the teenager, thereby helping him or her to enjoy studies and activities in school or college who will then grow into a secure and self-assured adult. There are two sides to a coin and so it is with cosmetic procedures and plastic surgery for teenagers. The pros and cons differ, as always, from one client to another client. 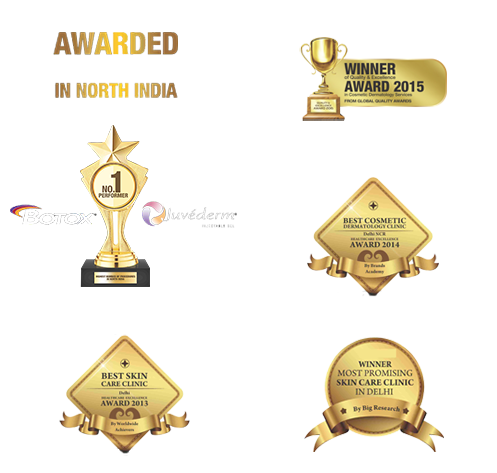 At Clinic Dermatech, we feel that caring for the mental well-being of the client is as important as caring for the physical well-being. The operating surgeon and the team discuss a number of things with the teenager and the parents. • Why is the procedure wanted? • What is the expected goal or result? • Whose idea was it? • Is the procedure clearly understood including the post-procedure care? • What is the maturity level of the teenager? • Is this procedure being done under duress or pressure? Since teenagers are still growing, sometimes there is a concern that the problem may return with the growth spurt of the teenager, even if it is delayed or late. In such cases, the teenagers and parents are advised to wait for a few years so that the teen’s features have grown and changed fully and are stabilized. In case, growing will not change the feature that is to be attended to, there is no reason to wait until adulthood. 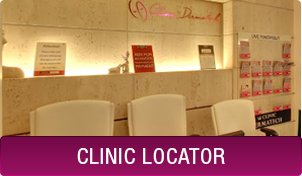 At Clinic Dermatech, we truly believe in helping the client reach an informed decision. It is important that the client and his/her family are comfortable, educated, and informed about the procedure. Written consent is essential for the parents to give if the client is below 18 years of age. 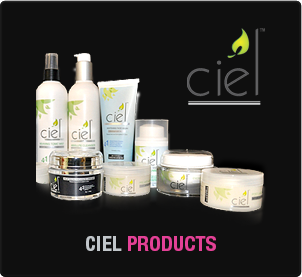 To know more, and for consultation with leading Cosmetic Dermatologists and Plastic Surgeons, visit www.clinicdermatech.com or call 8905320330 (Delhi NCR).